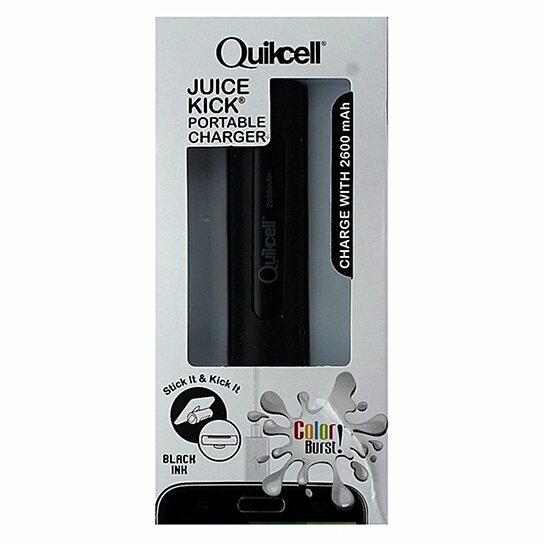 Quikcell products, 2600mAh Battery Charger with Suction Cup. All black finish. 5V - 1A Output. Single USB Port.